On Saturday, we gathered with three of our closest friends and trekked from Houston to Dallas for the Metro PCS Dallas Marathon and Half Marathon. I’ve been to Dallas more than a couple of times in my life, and well, it’s Dallas. 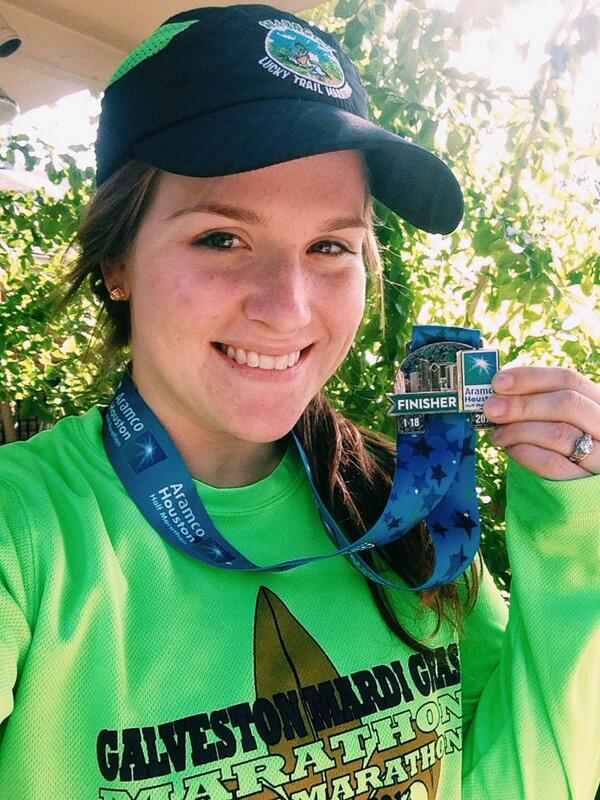 So I don’t have nearly as much to say as I did about the Marine Corps Marathon in Washington D.C.. But! I will say that if you’re making your way from Houston to Dallas, I highly recommend stopping off for lunch in Leona, Texas at The Pecan Grove Cafe. The teeny tiny town only has one hundred and eighty people, and we were surprised how downright delicious their only lunch restaurant turned out to be. Best dream bar of my life! The race expo had all of the usual vendors there, and the guys couldn’t even find a hat that suited their needs. We grabbed a coupon to Luke’s Locker and drove to the one in Colleyville, where we stayed the night with our friend’s parents. 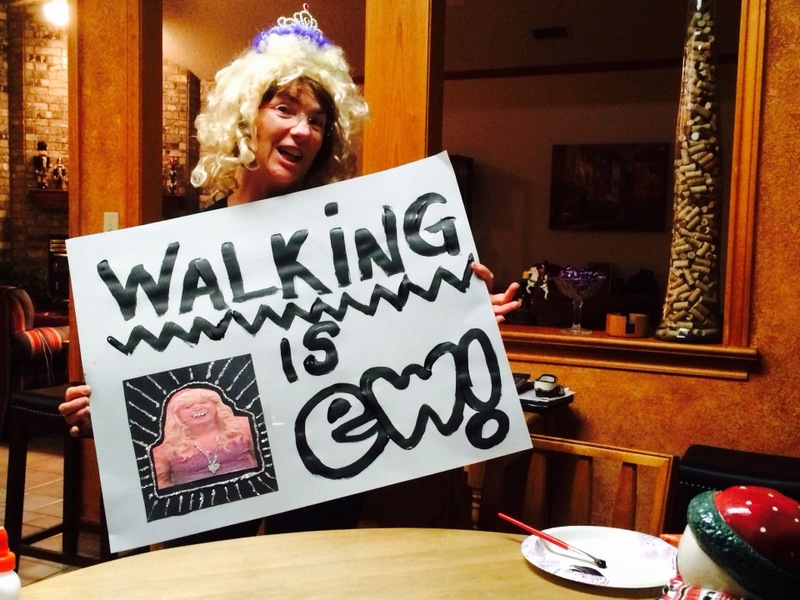 My friend’s mom made a super cute sign for the race evoking everyone’s inner Jimmy Fallon.